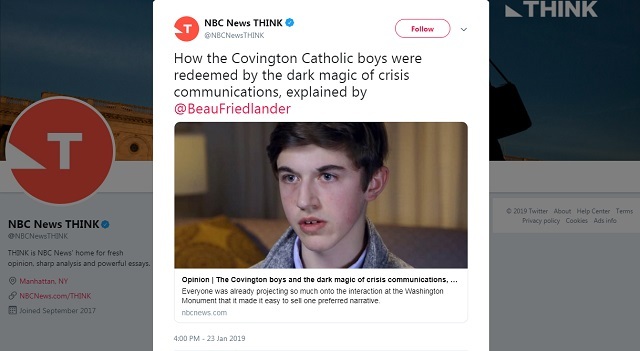 NBC News ran an op-ed from writer Beau Friedlander on Wednesday which spun the most insane defense of the media's false narrative on the "MAGA boys" incident to date. 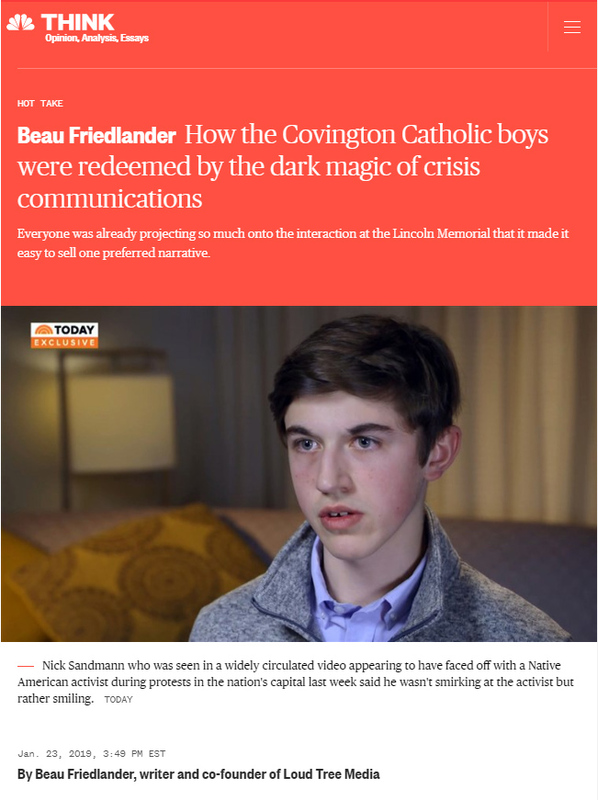 In an article titled, "How The Covington Catholic Boys Were Redeemed by The Dark Magic of Crisis Communications," Friedlander made no mention of the fact the initial story was that a bunch of MAGA hat wearing students went to an Indigenous People's March and "surrounded" an innocent "Native American elder" and "Vietnam veteran" peacefully praying and banging a drum and then got up in his face, chanted "build the wall," stared him down while smirking, mocked him relentlessly and refused to let him escape. 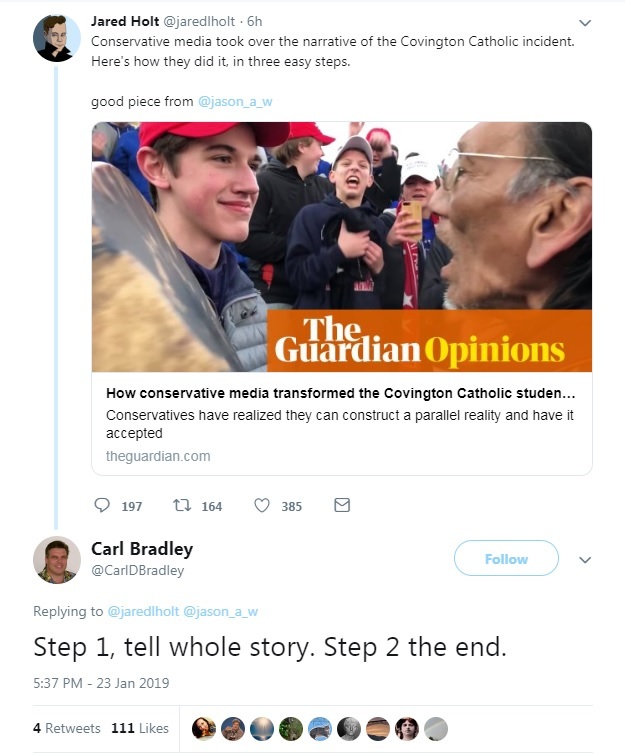 ...[M]any Americans are rightly asking what sort of dark magic Nick Sandmann�s public relations team had to invoke to make this go away. It�s not magic; it�s just P.R. The media has made it abundantly clear they're not going to stop lying to protect their precious narrative and they're not going to stop slandering these students and their families no matter how much evidence shows Nathan Phillips is a liar and the entire story was a lie from the start. These families need to start suing these media hacks for slander and defamation.